Even a week after the 0-0 draw at Anfield, many experts are still debating over Mourinho's match-tactics against Liverpool. Jose Mourinho's controversial decision to play for a draw from kick-off was met with extremely mixed responses. He was lauded by some as exerting a level of pragmatism, something that Jurgen Klopp lacks, to ensure Manchester United's unbeaten start to the league continued. Liverpool were also likely to score, hence focusing on reducing the effectiveness of their attack was key. The onus was on Liverpool, who were seven points behind, to get the win, hence Mourinho was right in his tactics. Others criticized him, saying it is not the "Manchester United way" to play for a 0-0 draw. They also argue that Liverpool's notoriously weak defence should have been exploited more. Over the past week, where Tottenham put four past Liverpool, the debate has arisen again. 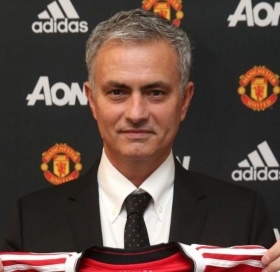 The straight-forward answer is that Mourinho made a mistake, and should have gone for a win. The common argument is that Liverpool is extremely potent at home and that any team that tries to go for a win will get exposed. Arsenal were used as an example, as Arsene Wenger's men lost 4-0. Firstly, aside from that 4-0 win, Liverpool have only scored two goals at home in the league - one against Burnley and another against bottom-side Crystal Palace. In fact, Liverpool have scored more goals away from home in the league (8), than they have at home (6). Potency has to be measured by goals, and this undermines the fear Mourinho had about their attack. Secondly, Mourinho has focused a great deal on Manchester United's defence. They had kept six clean sheets coming up to the match at Anfield, Arsenal had already conceded three goals against Leicester in the opening game. The only reason Mourinho gave that might be up for consideration is that his team were riddled with injuries, namely Paul Pogba, Marouane Fellaini and Eric Bailly. However, the fact remains that Manchester City and Tottenham Hotspur, probably two of United's fiercest rivals for the league title, have put nine goals past Liverpool, who is likely the weakest team out of the top six. Mourinho opted for not even trying to find a goal. In doing so, he killed the strong momentum his team had coming into the match as seen by United's lackluster 1-0 win over Benfica before losing 2-1 to Huddersfield. Momentum is key in the modern game, and after weighing everything, Mourinho did indeed made a mistake playing for a 0-0 draw at Anfield.